3. While soup simmers, melt the margarine in a separate saucepan and add the flour. Cook one minute, stirring constantly, then whisk in the soymilk/creamer ‘til smooth. 4. Once smooth and simmer roux (yes that’s right you just made a vegan roux) over low heat, stirring constantly, until slightly thickened. 6. Just before serving stir in the lemon juice and red wine, finish off with cracked pepper. This entry was posted in Uncategorized and tagged Friendz of Hot Knives, Recipes, Veeegs. Bookmark the permalink. Seriously! We’re making this tomorrow! We are on the same page too! We just went scouting last weekend! I LOVE THE FALL. And the Pacific NW. SO GOOD. Honestly, the best-tasting thing I’ve ever cooked. This looks SO killer! I can’t wait to grab me some fungus. I see it’s long past time for me to start drilling down through your archives of righteous food arts. Stoked to begin! very very yum, although the chanterelle is going for 30 a pound…not so yummy. ditto! even with mixed mushies, for the chanterelle is goin’ for 30 a pound in chicago. $7.95/lb at Pike Place Market today. Yeah for Seattle to do something right! I couldn’t afford the chanterelles but it still hit the spot. Yum! 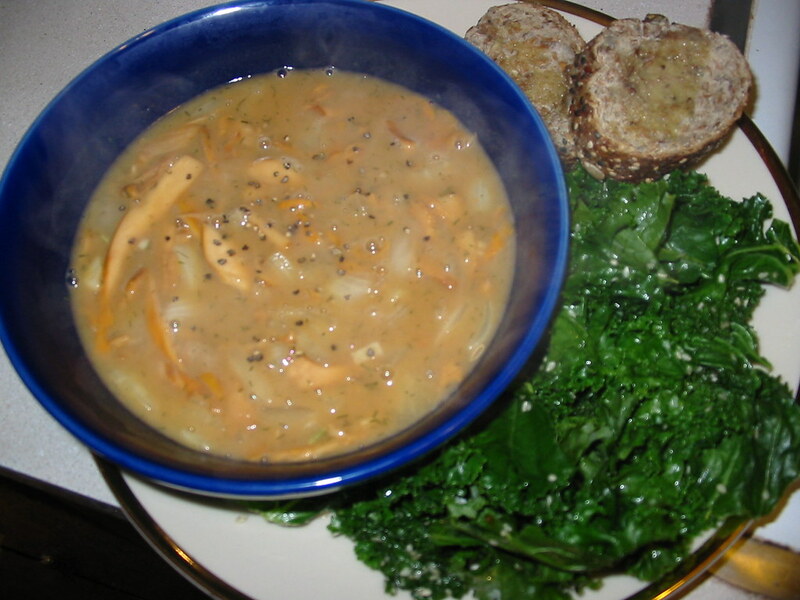 I just made this soup last night after the first successful chanterelle hunt of the season! I made it last year and the year before as well, it is amaaaaazing and I look forward to it a lot. SOUP WINNER! When you’re in not good state and have got no money to get out from that point, you will need to take the loans. Just because it should help you unquestionably. I take auto loan every time I need and feel great just because of that. This soup is FANTASTIC! I made it last night and totally impressed my friends. I didn’t have tamari, so used Bragg’s Liquid Aminos instead. This is THE way to use chantetelles. Thank you for this awesome recipe!